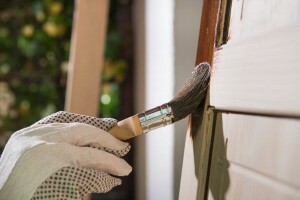 Summer is here and it’s time to take a look around your home to see what, if any, preventative maintenance is needed. With this checklist and a couple of weekends you’ll feel secure knowing that your home is being well-maintained. A yearly inspection of your HVAC system should keep air flowing nicely through your home, at the temperature you prefer. You can do this yourself or hire a professional to make it easy. At the very least, change the air filter (this really should be done monthly).Evaluate the siding, particularly if it is wood, on your home. Repair any that has been exposed to moisture before it becomes a larger issue and complete any needed painting. Before you know it hurricane season will be upon us.Check the slant and grade of the ground around your home. It should flow away from the foundation, not towards it, to avoid flooding and puddles during storms.Consider pruning plants and determining the health of large trees to avoid future problems.Review your roof, crawl space, and skylights, making sure all pieces and parts are securely attached to avoid leaks and further damage. Checking over these areas in your home and making any necessary repairs will allow to enjoy your Hawaiian sunshine!